That location will be in Spokane Valley on E. Indiana Ave. 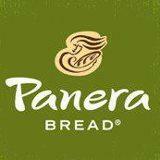 But today we caught wind that Panera Bread is also in the planning stages of a second location in the Spokane market. This time inside the Spokane city limits. It's still in "pre-development", so there is no information about it yet. But Panera Bread is working on a new restaurant location for 6500 N. Division. This would likely be the empty lot out front of the Lowe's store, north of Francis Ave.
Watch this site for more as we get it.